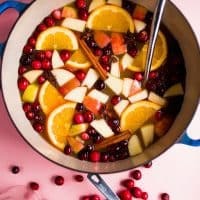 Today I’m sharing The Pioneer Woman’s Mulled Apple Cider Recipe, perfect for the fall, holidays, or a cozy treat on a cold day. I always love it when I’m done with Christmas shopping, and I get to sit down and enjoy a cup of mulled apple cider. 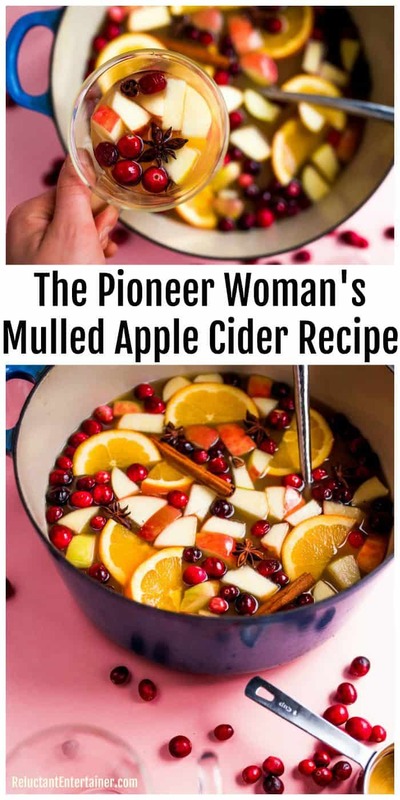 This The Pioneer Woman’s Mulled Apple Cider Recipe is amazing, and it’s so yummy to serve to company! 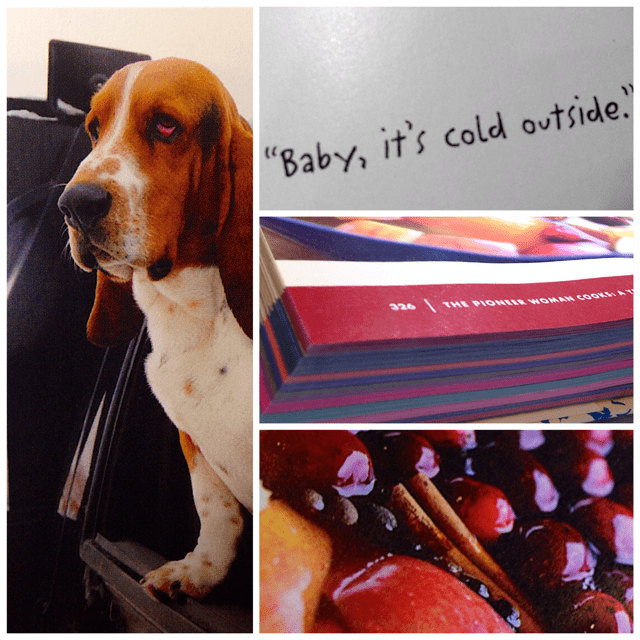 Packed with everything delicious, Ree’s holiday cookbook covers 12 holidays! 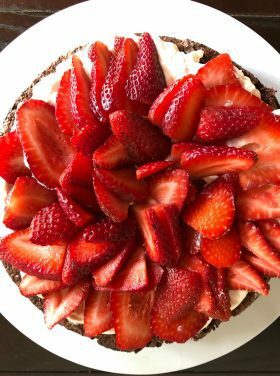 You can buy your copy, by clicking here >> The Pioneer Woman Cooks: A Year of Holidays: 140 Step-by-Step Recipes for Simple, Scrumptious Celebrations. I’m a picture-gal–I love pictures that tell a story, the whole story, and Ree’s photography is perfect for making me smile, especially when I see Charlie always posing for the camera! Here’s a little excerpt from Ree, summing up what the book is about. Quite honestly, it’s more than a holiday book, because most recipes could be made almost any day of the week. I like that. There’s nothing more delicious than a holiday. Oh, is it ever true. Whether it’s the anticipation of Christmastime or the ghoulish glee of Halloween, if I see a holiday on the horizon, I simply can’t contain my excitement. There’s just something about the traditions, the family togetherness, the resurfacing of childhood memories . . . the making of new ones. Holidays are wonderful, special, and fun . . . and they always make me happy. I, too, get excited for the holidays, and cooking! There’s just nothing quite like bringing people together in a cozy home, and making them happy with a home-cooked meal. 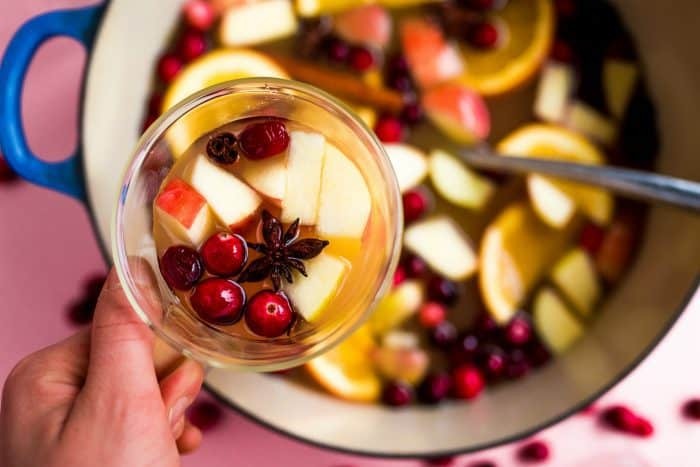 Starting the holidays off this week, I decided to make Ree’s Mulled Apple Cider recipe, which we’ve all been enjoying! Have I told you how delicious my house smells? 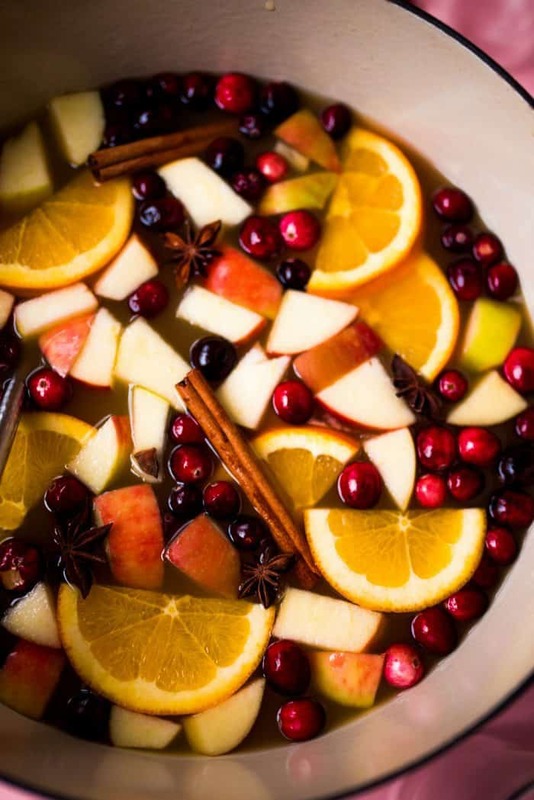 Sometimes I think it’s worth making hot cider with mulled spices, just to get the house smelling GOOD. I even pulled out the bourbon, and thought I’d take Ree up on her idea of spiking the cider! We adapted the recipe slightly, but oh, so good! 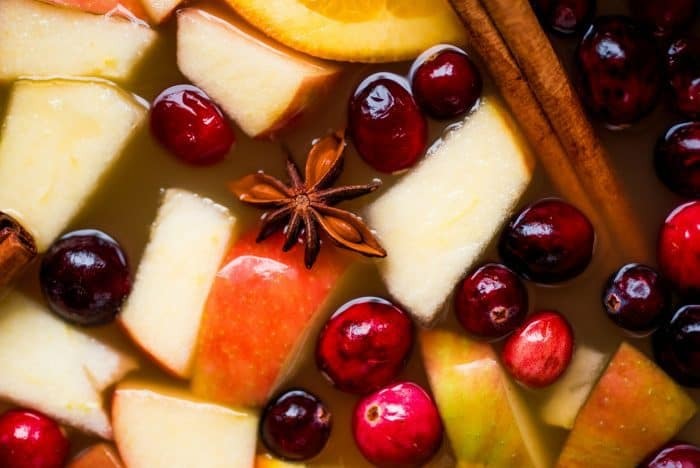 How do you make Hot Mulled Apple Cider? 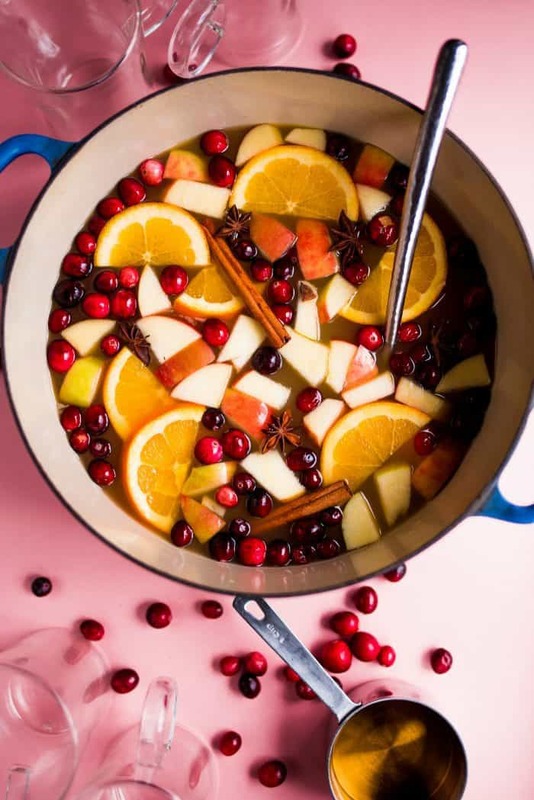 Pour the apple cider into a large pot over medium-high heat. Dice up the apples and toss them into the cider. 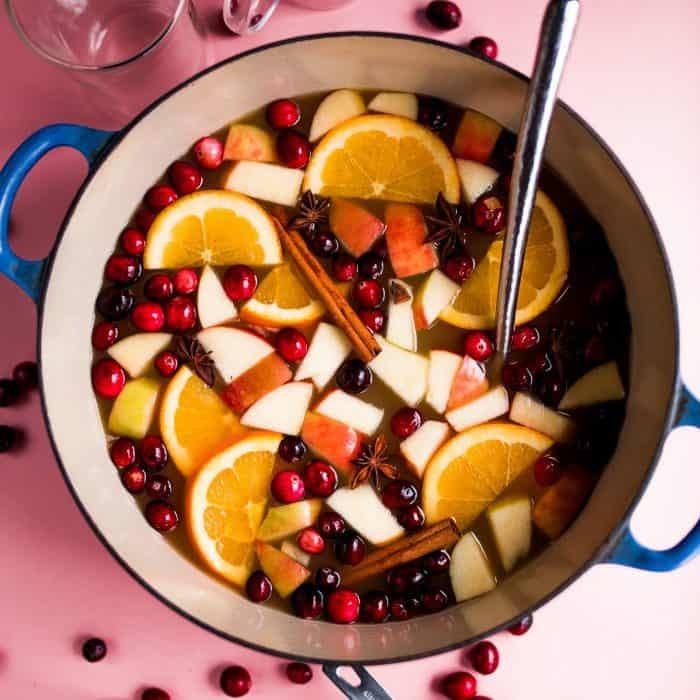 Add the allspice berries, the cinnamon sticks, and the cranberries. Add the sugar and stir it around to dissolve. Bring the mixture to a low boil, then reduce the heat to low and simmer for 45 minutes to 1 hour. Add the brandy if using, then simmer for another 10-15 minutes. Serve warm. Warm, mulled apple cider makes life worth living on freezing cold winter days. 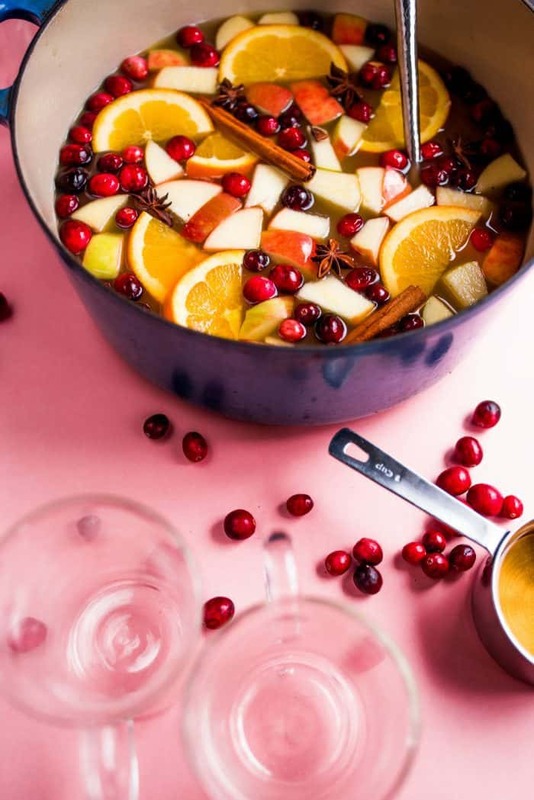 Warm apple cider spiked with brandy? Ditto. Times a thousand. Mmmmmmm. 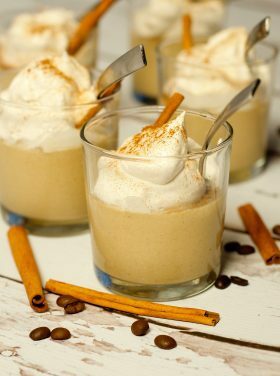 Serve this in a nice mug with a piece of rum cake, then curl up by the fire, wrapped in a fuzzy blanket, and work on your Christmas list. 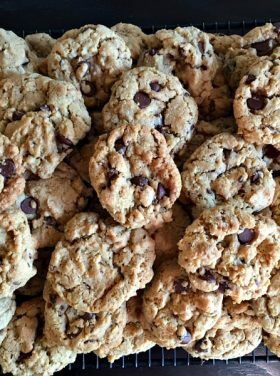 Recipe from The Pioneer Woman’s “A Year of Holidays” Cookbook. Makes about 1 1/4 gallons. Peel the rind off the orange in large pieces and toss them in. Bring the mixture to a low boil, then reduce the heat to low and simmer for 45 minutes to 1 hour. Add the brandy if using, then simmer for another 10-15 minutes. Serve warm. Amanda from i am baker gathered a few of us together to host a mini round-up of other fabulous recipe. My new favorite holiday to cook for is Thanksgiving! My favorite dish is stuffing with apples and walnuts. Oh, and I love Christmas and baking Brown Sugar Brickle Bars. Amazing Southern Living recipe that everyone loves. Christmas, and I love to make peanut butter truffle brownies! Subscribed as a follower by email. Now that my children are grown, Thanksgiving is my favorite holiday. I love all the planning and cooking, visiting with family and friends and then after it’s all over I sit down with a nice cup of coffee and plan the black Friday sales route. My favorite signature holiday recipe is a bake alone stuffing that has all the regular ingredients plus pecans and apricots. I really like the flavor and texture. For Christmas morning, I make vanilla cinnamon French toast! My favorite holiday is Christmas! And I love love baking cookies! My favorite recipe at Thanksgiving time is probably my pecan pie. it is amazing and tradition. My sister gave me the recipe when I got married after she go it from my grandmother……really good. Best with Texas’ Blue Bell Ice Cream. love you Sandy….I already follow you on all these social media. My favorite holiday is Christmas. English Toffee is my favorite holiday recipe! Favorite Holiday has to be Thanksgiving. I have to make roasted carrots and apple cake every Thanksgiving.